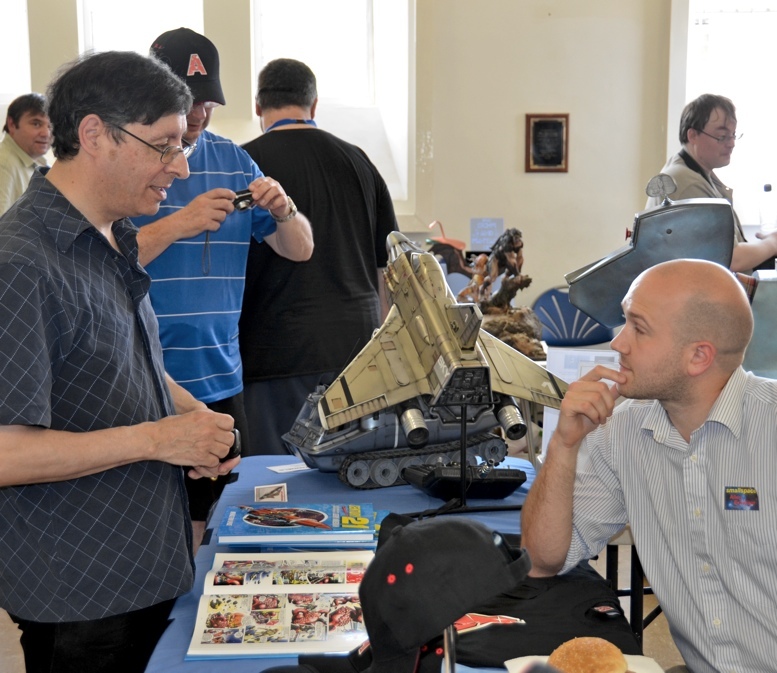 The second smallspace show - featuring space, science fiction and fantasy models - was a wild success. On July 7, the venue was so full that even the entry lobby was pressed into service for an art display. Jamie Anderson, son of Gerry Anderson (Captain Scarlet, Stingray, Thunderbirds et al) was one of the special guests (below right). 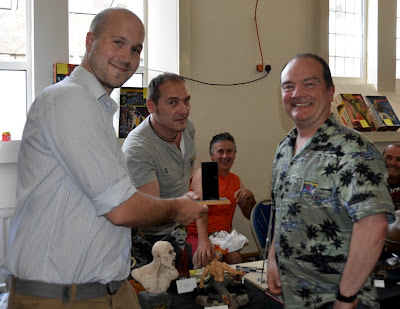 To commemorate Gerry’s life and times (he died in December 2012) members of the All Sections Alpha (ASA) group set up a whole section of Moon Base Alpha in the smaller smallspace hall. 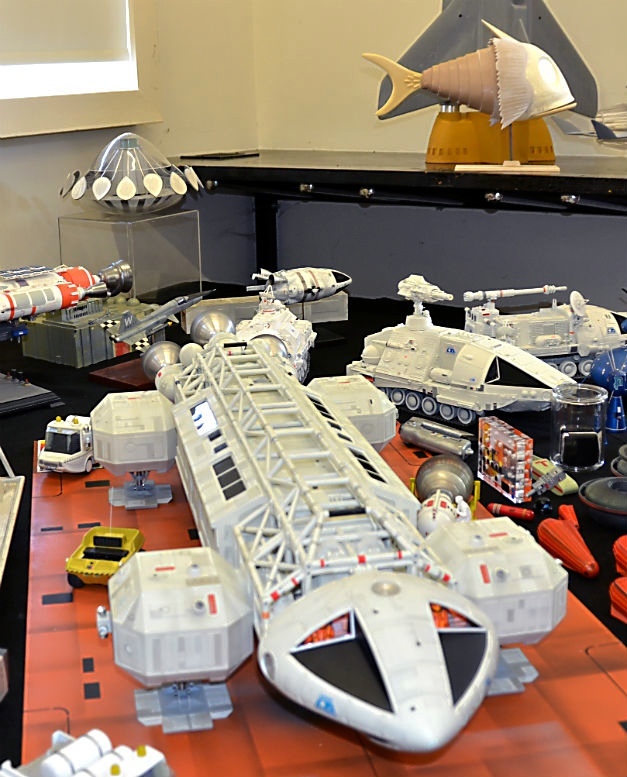 ASA recreates both models and full-size sets from the Anderson TV series, Space 1999. 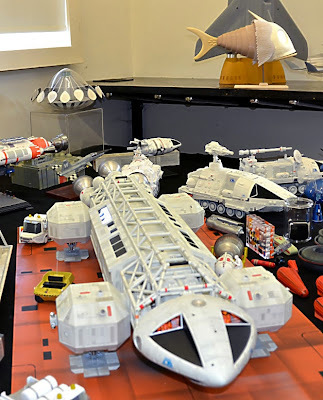 A large Eagle Transporter (header pic) dominated the ASA model display. 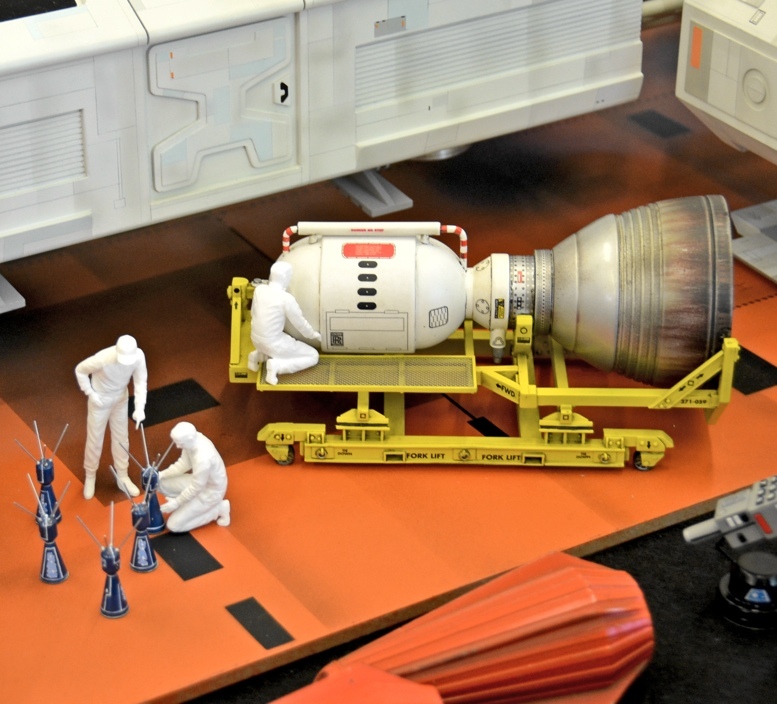 The closeup (below) shows some of the details, such as work on one of the rocket engines. 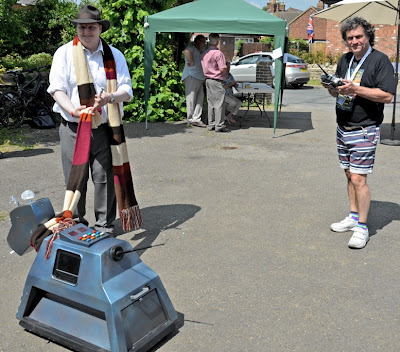 2013 marks the 50th anniversary of Doctor Who, and to celebrate this at smallspace, Daleks and Cybermen roamed outside the exhibition, accompanied by the robot dog K-9 (below) rolling along under the watchful eye (and radio-control guidance) of smallspace co-organiser, Mat Irvine (right). More info on the show to come. For more click here and follow the smallspace link. There is now a Facebook page here.